The Long-Awaited-Debut-Album is a completely unique brand of record. 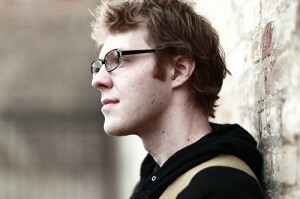 Take Matt Ryd, for instance. In addition to interviewing him for this blog, I’ve seen Ryd play in various formats around Chicago for about three years – so I’ve already heard most of the songs that appear on his new Long-Awaited-Debut-Album called Looking for Home. I’ve seen the songs live, I’ve watched them on his active YouTube channel, I’ve seen them solo, I’ve seen them with a band. Matt Ryd should be really proud of himself. This album extrapolates on all the elements that I’ve always liked about Ryd’s music. His impeccable pop construction and vocals are accentuated by super-tight instrumental arrangements – especially with synth and drums. The hand of producer Bill Prokopow (I Fight Dragons) is obvious but non-obtrusive, adding wonderful dynamics and sonic depth. The songs I was most excited about taking home with me, like “Impression,” are absolutely satisfying. Plus there are new hit-worthy songs throughout the 11-track record. The (almost) title track “Home,” expands the singer/songwriter mold in the vein of The Postal Service and Owl City, while “Wonderin'” succeeds with beautiful harmonies and more traditional form. 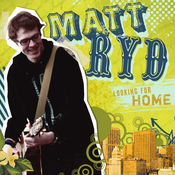 Hard work pays off, and Matt Ryd put in the effort to create an album that really captures his music at its best. Hear a couple of the tracks I mentioned on the Mid By Northwest Radio, and be sure to connect with Matt on your social network of choice. I promise, he’ll connect right back.